Largest-sized emergency batten ideal for stairwells, warehouses and factories. Offers an IP65 weatherproof rating, LiFePO4 lithium battery and an optional built-in microwave sensor. 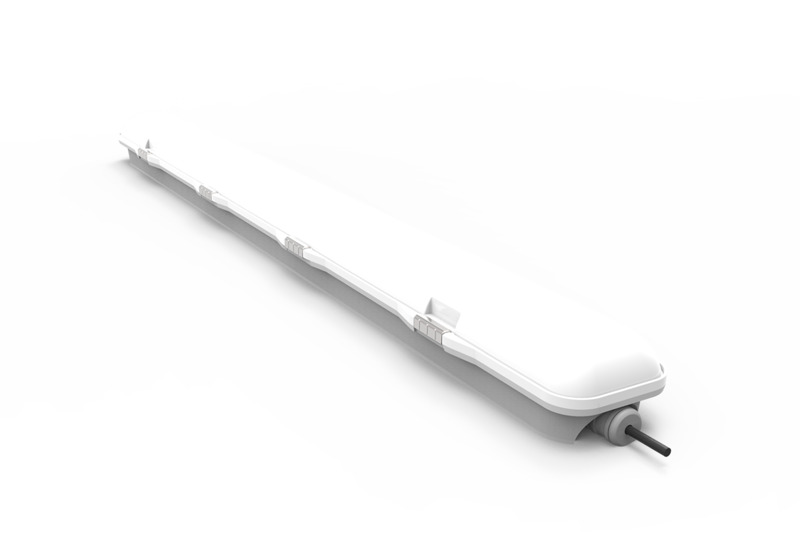 EMBATTEN25WPL is our largest weatherproof LED emergency batten, with a versatile design suitable for most applications. Fitted in elegant PC housing with solid stainless-steel clips, EMBATTEN25WPL delivers high light-output with low glare-distribution and is an excellent replacement for fluorescent battens without compromising performance. And our easy to install wiring allows you to surface mount EMBATTEN25WPL on wall or ceiling in minutes. Should you need other sizes and wattages, be sure to check out E&E’s 600mm and 1200mm LED emergency battens.